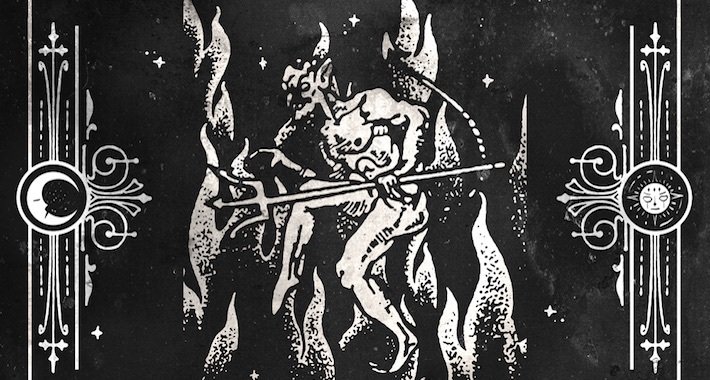 NSD: Black Label lives up to its occult roots with this haunting slide into the darker edges of the dancefloor aptly titled “The Devil,” courtesy of Oddprophet. While Oddprophet has been conjuring spirits and transforming dancefloors into a full-on riot of the dead on the dancefloor all year long, expect this one to level things up and leave you and the squad a shadow of what you used to be. Right from the start, there’s no denying that the goosebump-inducing horror film vibes are paving the way for some serious business. If you’re the kind of person who likes to spend their time diving deep into serial killer, occult, and slasher film lore, this one is sure to be right up your alley as Oddprophet goes all in before we even get to the drop. By the time the full on drop-kick to the chest arrives and Oddprophet begins to shred, you’d think you’d be prepared for the heat but trust, nothing can quite prepare you for the untouchable mix of mayhem and straight up skull-cracking pressure “The Devil” delivers. The industrial-strength flex at the core makes this one of Oddprophet’s top cuts to date and is sure to go down as a future classic for rail-riders and heavy-hitting DJs alike. If you’re down to open a personal portal to the dark side, then be sure to lock in your download/stream here and don’t say we didn’t warn you!